In a recent news article, the SGPC has decided to respond to the many challenges Sikhs outside of Punjab face post-9/11 (better late than never, eh?). In particular, the issue of the “Turban ban” in France and the “Turban pat-downs” for air travelers in the US. How do they intend to address these issues? Creating and distributing brochures. We have decided to provide a detailed information about the Sikh identity, history, culture and five Ks to foreigners in their country and in their own language…We will also send brochures about the Sikh identity to the UN Secretary-General and all embassies in New Delhi. A say in what? Who knows? As I thought about these new initiatives from the SGPC, as well as researching their history a bit – I’m having trouble understanding the real purpose of this organization. On the one hand, the SGPC was created in the 1920’s to keep the British out of managing Gurwdaras. And in the process of reclaiming these Gurdwaras, they (along with the Singh Sabhias) ousted mahants and non-Sikh practices out of the Gurdwaras. In addition to managing historical Gurdwaras, the SGPC also runs several educational institutions. However, the SGPC is also referred to as the “mini-parliament” of the Sikhs, as it states on it’s website. which to me is a completely different set of goals. This implies that they are the representatives and decision makers on behalf of Sikhs all over the world. Is this really the case? 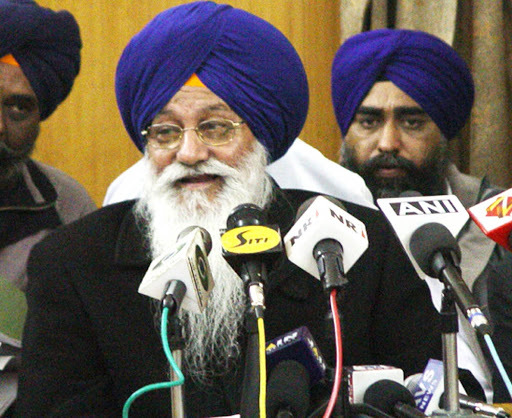 So what is the relevance of the SGPC in 2011? Do we really need the SGPC to speak on behalf of those of us living outside of India? And if the SGPC finds itself with loads of time on their hands, why not get back to some of its roots and reclaim some of the Gurdwaras that have fallen in to the hands of modern-day mahants and rid the non-Sikh practices we are seeing today? Are all Gurdwaras the SGPC is managing today falling inline with the Rehat Marayada? The same document they coordinated and rubber-stamped years ago? Maybe they can use their resources to address issues in their own backyard, like holding granthis and parcharaks to a certain standard rather than leaving it up to the Babas to promote Sikhi. Or perhaps they could lean toward charity work and support efforts to address female feticide, drug abuse, farmer suicide, Punjab’s water crisis…take your pick! My opinion…we’ll make our own brochures, thank you. With the Guru’s grace, Spirit of the Sikh has completed its second year. I want to take a moment to thank all of you who continue to read and comment on the blog, even though my posts have been fewer and further apart than the previous year. I was very happy to see a lot more comments and dialogue. I hope to see more of this in the year to come and I plan to be more disciplined in responding to all comments in a timely manner and facilitating the discussions further. Often times the comments raise more profound points than the original post themselves…I look forward to hearing more of your views. Some of you mentioned you would like to start your own blog to document your experiences and stories, but are hesitant to start or afraid you will not be able to maintain it. 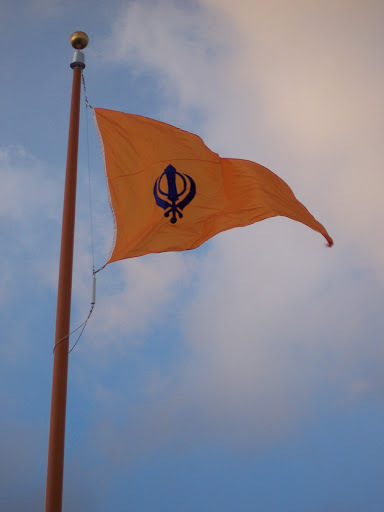 Consider this an open invitation to send me your pieces as a guest blogger here on Spirit of the Sikh so we can share your thoughts with this small yet insightful group of readers. As we move in to year three, I again hope to write a little more poetry (a failed promise from last year) and share some reflections on Baani to align with some of my personal goals…Why reflections on Baani? To keep the flame lit. If you know Him, how can you forget Him? Keep the flame alive. I leave it to you what shall be the needs of the moment – within you. You alone shall know how to keep the light of Nam burning, your heart is the shrine; the lamp of Nam is lit and it burns therein. And in the background He stands. You are the priest of that sacred shine. There is silence lit by Nam. There is the song lit by silence. You have to pour oil, you have to trim the wick and you have to keep it burning.